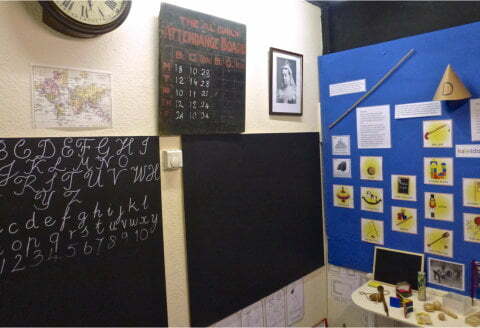 The Activity Room is a special area in the main part of the Museum for children of all ages. There are always dressing up, craft and drawing activities on hand to make sure visitors of all ages find something of interest. Each year, in keeping with the exhibition in the museum, the displays and activities change. 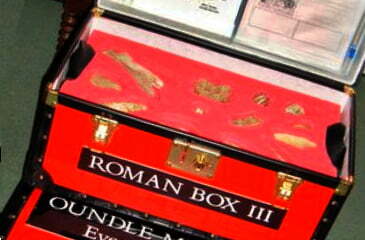 The Museum has five Roman handling boxes which are available for hire to schools. They are housed at Oundle Middle School and cost £10 per box for a half term or £5 per box for a week. The five boxes contain: bones, pottery, building materials, everyday life (mostly replicas) and archaeology. Each box has information about its contents and worksheets (for teachers to photocopy if desired) and various booklets about life in Roman Britain. All the items are of Roman date (except for the replicas) and were found in Northamptonshire. Please go to our Contact Page to get in touch if you would like to borrow them.